This unprecedented volume accompanies the first exhibition to consider the impact of Spain’s culture, history, and art on one of its greatest designers of the twentieth century, the legendary Balenciaga. Hailed as "Fashion’s Picasso" by Cecil Beaton, Cristóbal Balenciaga (1895–1972) created an innovative oeuvre that transformed the way women dressed. From the opening of his Paris fashion house in 1937 until his retirement in 1968, Balenciaga’s visionary, ever-evolving designs and impeccable standards seduced generations of the most iconic, best-dressed women in the world, including the Duchess of Windsor, Gloria Guinness, Pauline de Rothschild, Mona Bismarck, Princess Grace of Monaco, Doris Duke, Diana Vreeland, and Queen Fabiola of Belgium. For Diana Vreeland, the designer’s "inspiration came from the bullrings, the flamenco dancers, the loose blouses the fishermen wear, the cool of the cloisters." 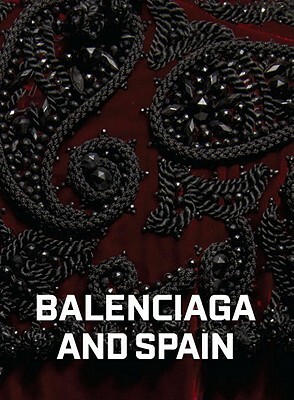 Exploring the profound and enduring influence of Balenciaga’s native country on his work, this book considers the influences of Spain’s greatest artists, from Zurbarán, Velázquez, and Goya to Picasso and Miró. It also investigates the impact of Spain’s religious dress and ceremony, its royal history, its rich regional costume, its dance traditions, and the power and splendor of the bullfight on the protean Balenciaga’s designs. This illuminating and lavishly illustrated volume will be a must-have for art and fashion connoisseurs. Hamish Bowles is the European editor at large for Vogue and is recognized as one of the most respected authorities on the worlds of fashion and design. He has written many books, including Jacqueline Kennedy: The White House Years (2001); Carolina Herrera: Portrait of a Fashion Icon (2004); Vogue Living: Houses, Gardens, People (2007); Yves Saint Laurent Style (2008), and The World in Vogue: People, Parties, Places (2009).